Are you signed up for our weekly Woodsmith eTips? 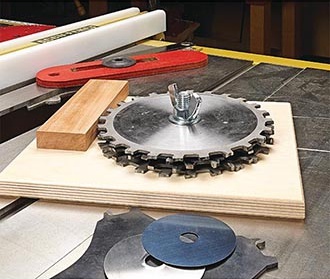 This jig lets you “build” your stack of dado blades before putting them on the saw. So you’ll have a perfect fitting dado slot every time. 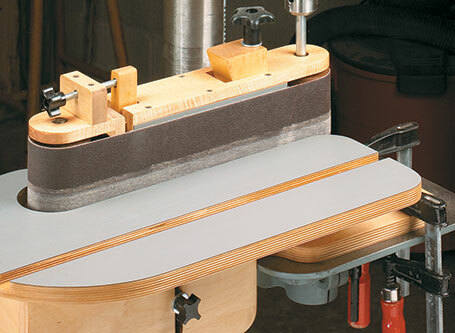 No space for a full-size edge sander? No Problem! This this shop-built accessory transforms your ordinary drill press into a belt sander with all the features of a full-size machine. Browse hundreds of Woodsmith Plans for your home and shop!